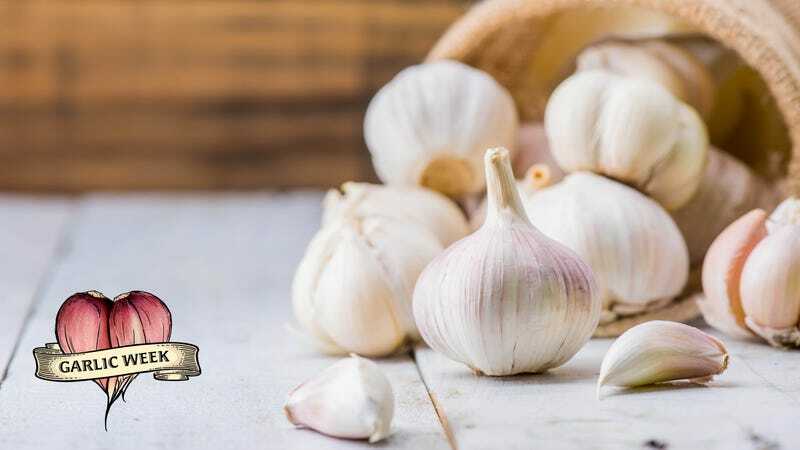 Many of us lunge for garlic frequently in the usual ways in our kitchens: garlic bread, pasta sauces, a topping on pizza. But in honor of our favorite flavorful member of the allium family, we decided to think outside the bulb a bit. We asked some chefs and our staff about the unusual ways they utilized garlic—which should actually be part of all meals and recipes, right? Here are two of my favorites: Poach green garlic in olive oil and purée with egg yolks and lemon for a bright sandwich spread. Also: Shave garlic cloves and fry till crispy. Toss with peanuts, lemon zest, and crispy lentils (soaked, drained and dried and flash fried) and toss into salads or fold into a relish for huge flavor and texture.—Cheetie Kumar, Chef, Garland, Raleigh, N.C.